April is National Volunteer Appreciation month—a time to honor, recognize, and thank the dedication of those who go above and beyond. At Vista Prairie, we are fortunate to have a number of outstanding volunteers in our communities who give selflessly of their time and show a true generosity of spirit. Vista Prairie volunteers have a huge impact on the quality of life of Vista Prairie residents across our communities. Volunteers form close bonds with residents through helping out with daily activities and outings, or simply spending quality time chatting and listening to a resident’s stories. Residents deeply appreciate the companionship of volunteers, especially those whose families may not live nearby. Our staff is also enormously grateful for the extra assistance and support volunteers provide. Volunteers come to Vista Prairie for a variety of reasons. Some are interested in pursuing a career in health care, hospitality, or working with older adults, and want some experience to help them determine if the field is a good fit. 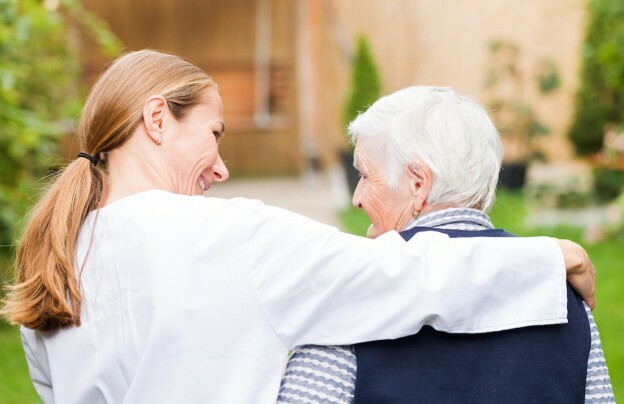 Others are looking for the social connection of interacting and forming relationships with members of the senior living community. Many volunteers enjoy the wisdom and perspective they gain from spending time with our senior residents. The knowledge that one is improving the daily lives of residents is fulfilling on its own, and serves as reason enough for many of our volunteers. Vista Prairie volunteers dedicate countless hours of hard work to our communities each and every week. Many of our volunteers have worked with us for more than 10 years, devoting as many as 30+ hours of their time per month to making our communities a better place. The Independent Sector—a national coalition of nonprofits, foundations, and corporate giving programs—estimates the value of volunteer time at $23/hour, but the value our volunteers bring to our Vista Prairie communities is priceless. This entry was posted in Life at VPC on April 2, 2018 by Chrissy Sorenson.